This is photo #8 (of 50) in a series about our life in Brazil. 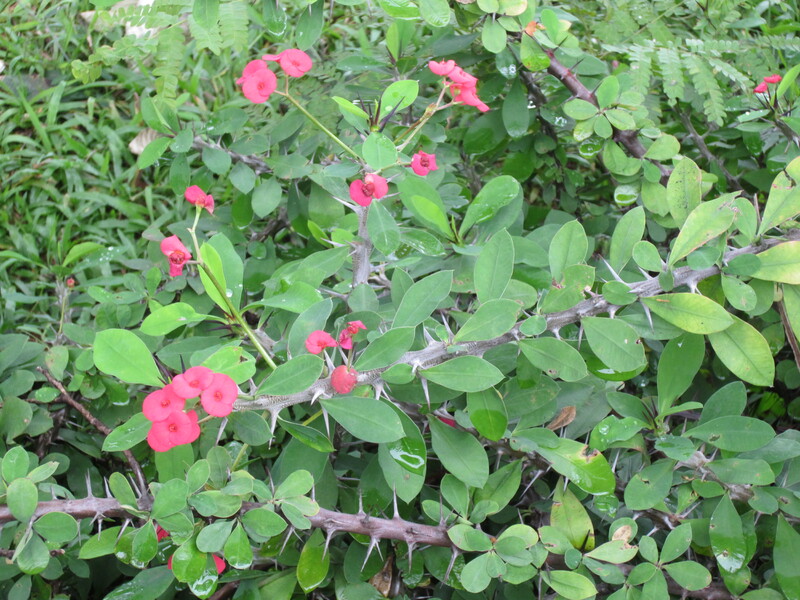 The Crown of Christ plant with its sharp, thick thorns is often planted around people’s houses as a deterrent to burglars. I think it is appropriate that its bright red flowers bloom during the Lenten season.